They can last longer than the other teeth replacement methods. With proper maintenance, they can last a lifetime. They allow you to chew your food properly so that you do not have to compromise your diet after missing your teeth. Hence, they do not affect your diet. It is important to consult many dental clinics and get quotes. Make sure that the quote includes all the relevant aspects of the treatment like consultation charges, imaging, anaesthesia, modelling, surgery, materials etc. and additional procedures(if needed) such as sinus lifts and bone grafts. 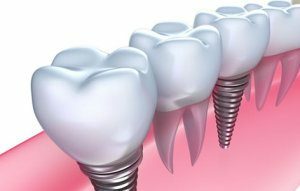 By comparing the quotes, you can choose the dentist who offers more affordable dental implants in Melbourne without any dispute in the quality. Clinics located in the urban areas tend to charge more than the clinics located in the suburbs. This is because the cost of maintaining a clinic in a metropolitan is significantly higher. As such, getting treated in a less popular location can fetch you a lesser price. Dental schools often conduct dental programs so that the students can gain more practical experience. Experienced surgeons would accompany the students to monitor the whole process. This might suit the persons who do not care about the lack of expertise. Dental implants in Melbourne are often regarded as a cosmetic procedure and are not covered by most of the insurance plans. But in some cases when they become necessary to restore the oral functions of a patient, a part of which would be paid by the insurance company. At most clinics, you can get the surgery done initially and pay for it later in monthly instalments with interests. By becoming a member of discount dental plans, you can save thousands of dollars in dental implants. These ways make the dental implants relatively cheaper for people who cannot afford them otherwise.